Make a donation to Downeast Audubon, whether for our annual birdathon or just because you like what we are doing. Please check the box to share your address with DEA so that you can be acknowledged for your gift. 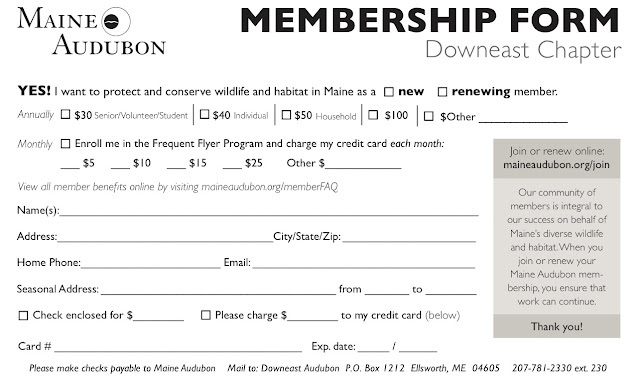 To join Downeast Audubon or to renew your membership online, you must do so through Maine Audubon.